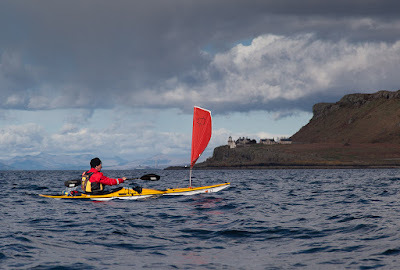 Time for a light luncheon in the lee of Little Cumbrae. 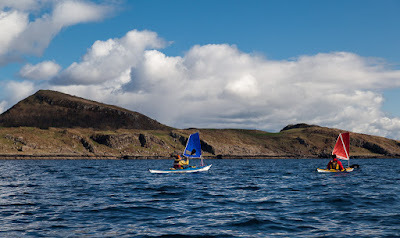 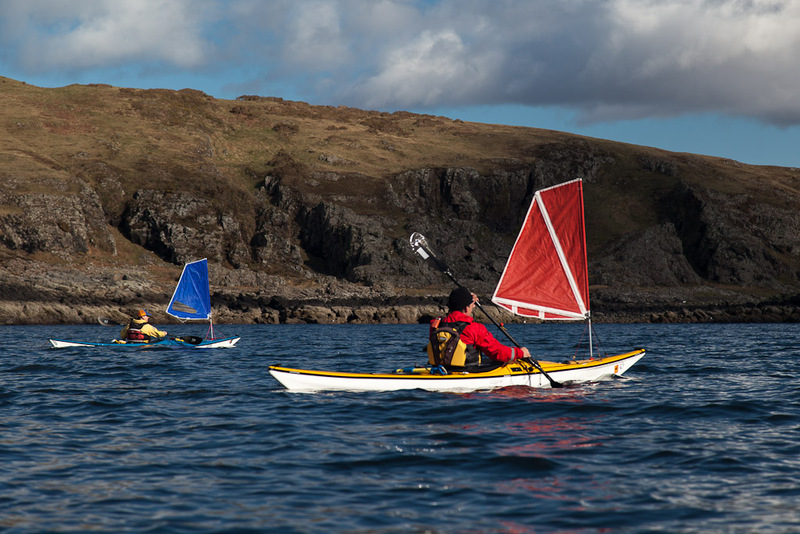 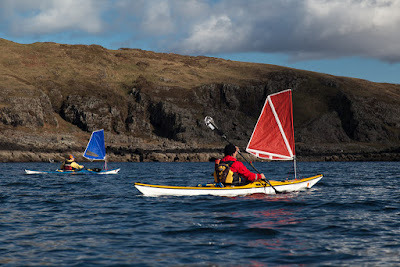 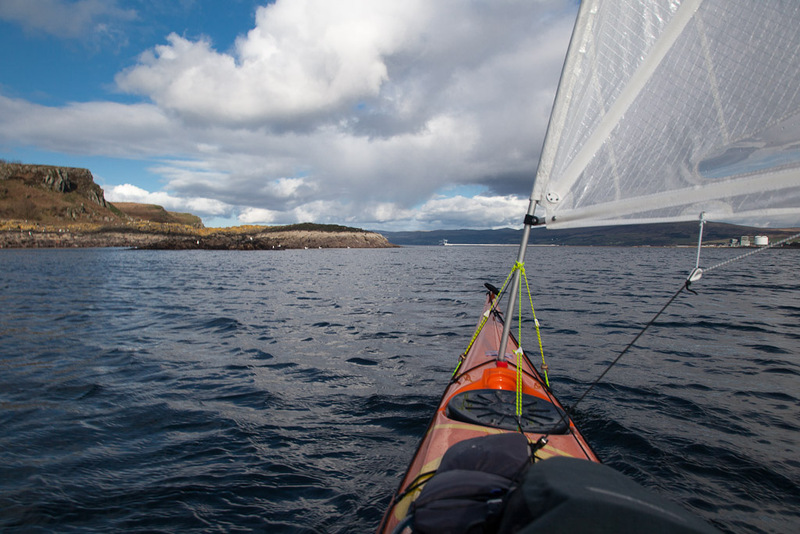 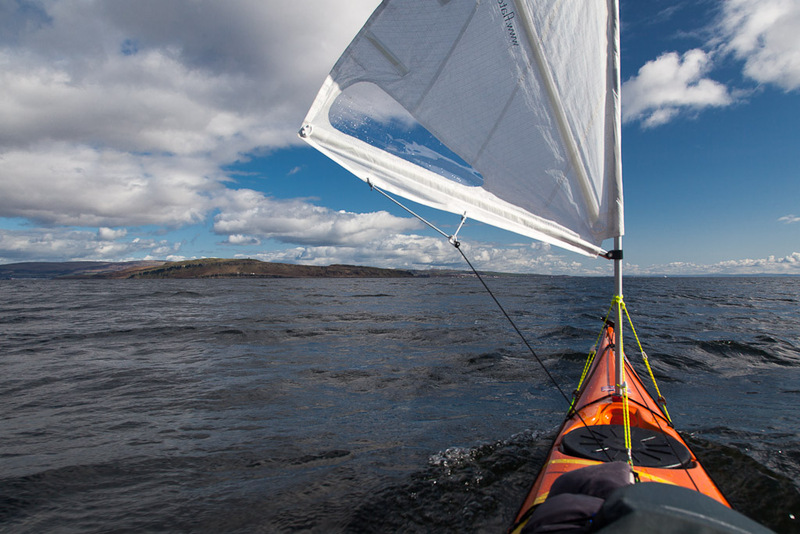 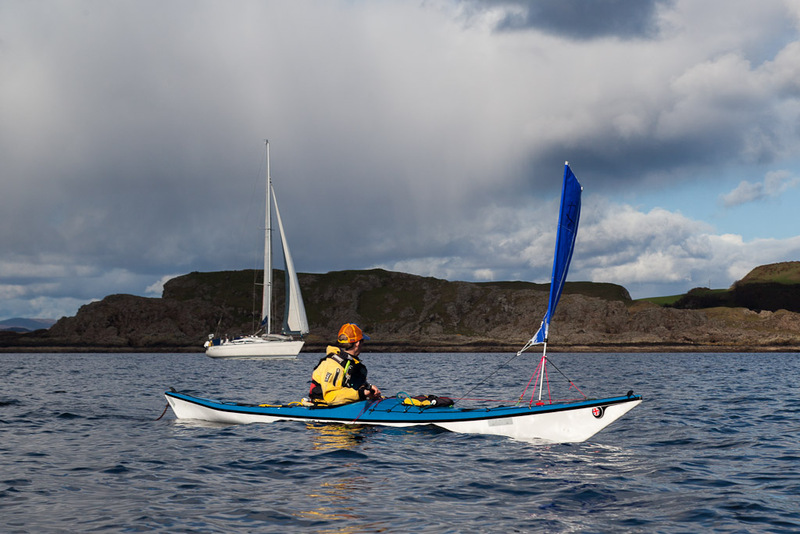 We paddled out into the Sound of Bute and unleashed the sails, ready for a 12 km downwind blast back to Portencross. 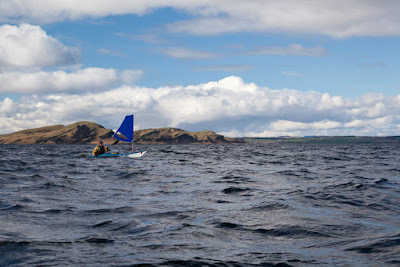 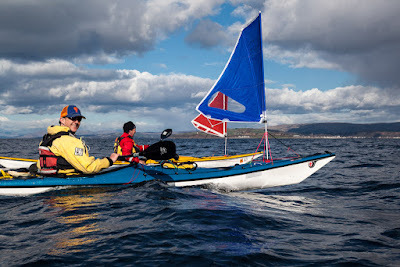 ...paddle sailing proved faster than yachting. ...and we virtually flew across the Firth of Clyde Channel towards Little Cumbrae island. ...leaving the island of Bute far in our wakes. 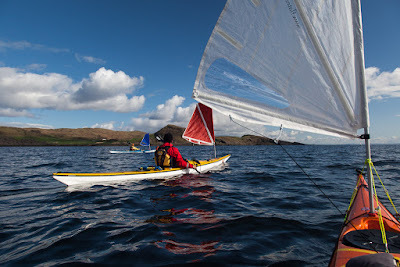 It was time to break out into the lee of Little Cumbrae for a light luncheon.